FACT CHECK: Is This a Photograph of an Elephant Carrying a Lion Cub? A photograph of an elephant carrying a lion cub should need to be real to be considered the "best photo of this century." 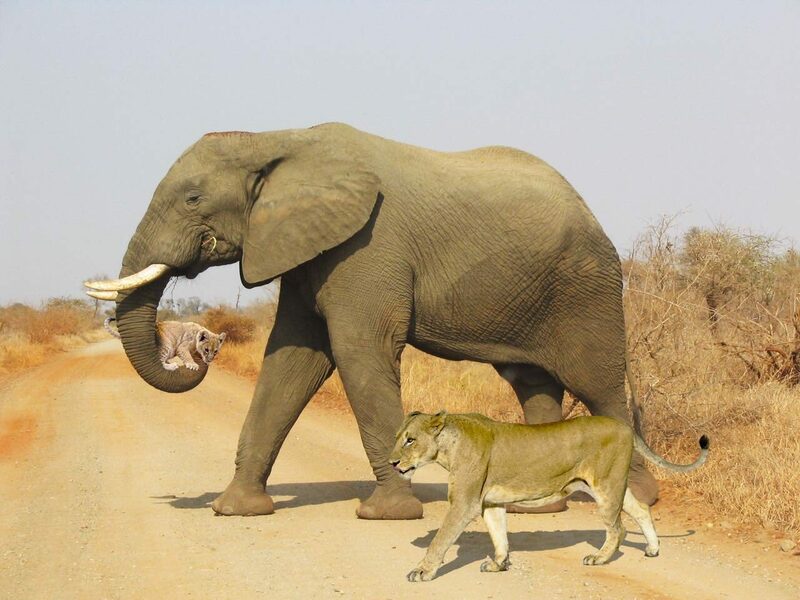 A photograph shows an elephant carrying a lion cub. Considered one of the best photos of this century. A lioness and her cub were walking but the heat was excessive and the puppy was in great distress walking. The elephant realized that his cub would die and carried him to a pool of water alongside his mother. Wild animals huh? This image can’t be fairly considered one of the best photographs of this century, because it’s not a genuine photograph.